sonnen is a multi-award winning German company that is the largest home-battery supplier in Europe today. sonnenBatterie is a highly intelligent, modular, fully integrated unit completely engineered and made in Germany. The sonnenBatterie Eco is a Lithium Iron Phosphate battery. 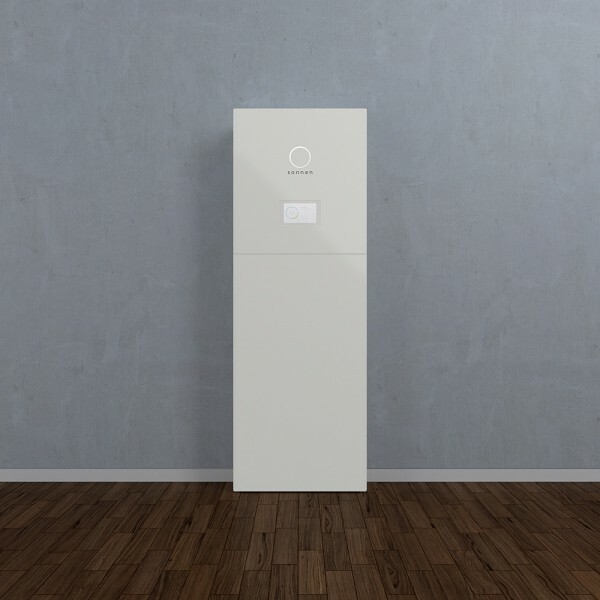 Their modular design (starting with a 5kW base cabinet, expandable in 2.5kW increments) enables users to custom-design a storage system specific to their individual requirements, with the potential to expand up to 15kW on a single system as energy needs increase. With sleek design and a highly intelligent self-learning algorithm that will determine the best time to charge the battery and supply power, the sonnenBatterie is an outstanding example of quality European engineering. sonnenApp enables easy monitoring and control of your energy usage and production from mobile phone or tablet. sonnenProtect is an optional back-up unit designed to enable power to remain supplied to selected circuits when the grid goes down. This small device can sense outages in real time and automatically switch to stored battery power.